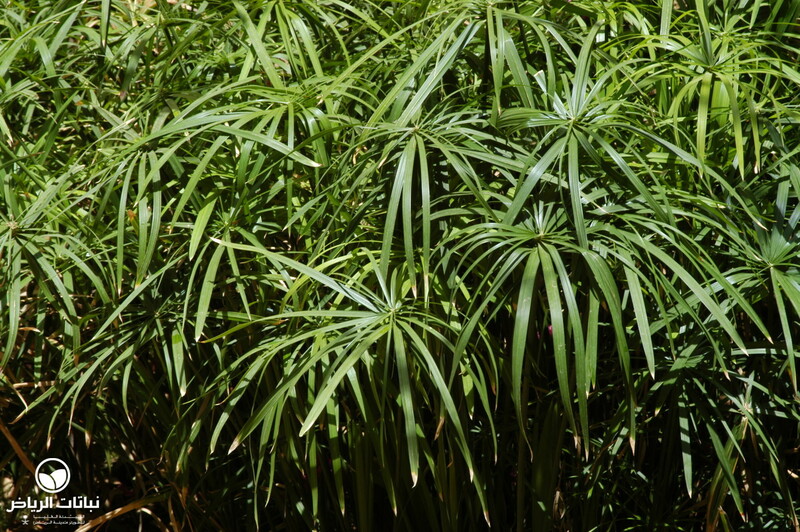 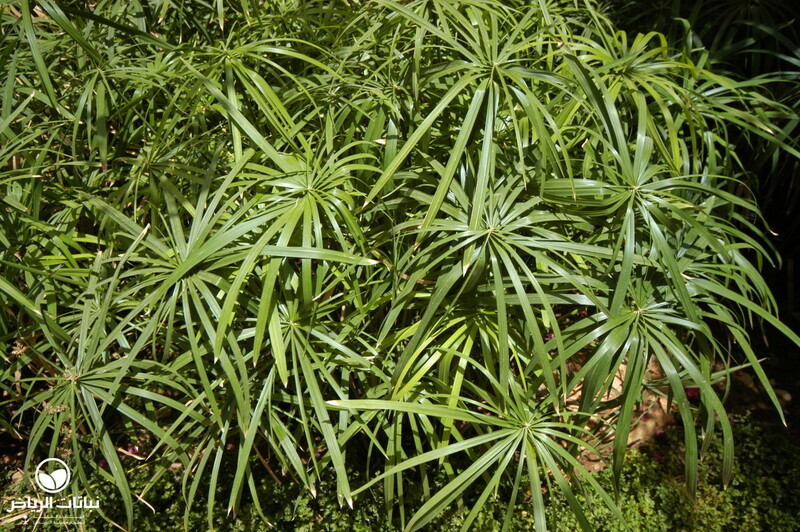 The Umbrella Plant is a grass-like, subtropical perennial native to southern Africa and Madagascar. 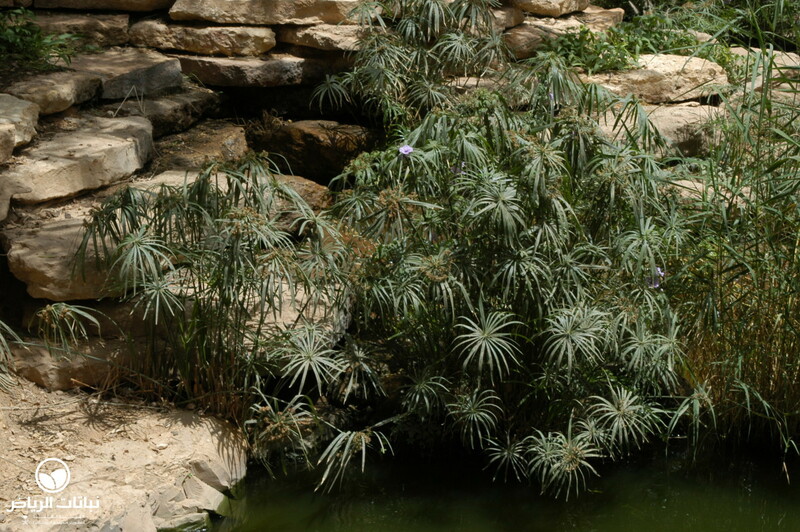 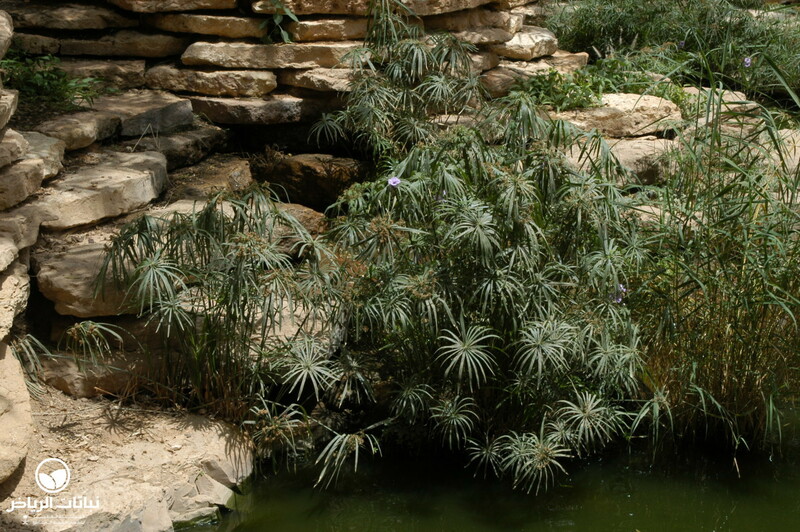 Now regularly seen in Arriyadh, it was previously observed or was planted close to water, but now seems to have ‘escaped’ and has seeded itself successfully in drier soils. 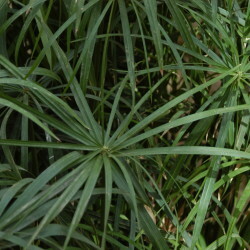 It grows upright culms with flat, linear leaves radiated on top. 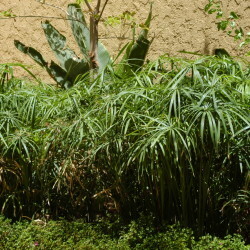 The plants are evergreen and grow to 1 metre in height. 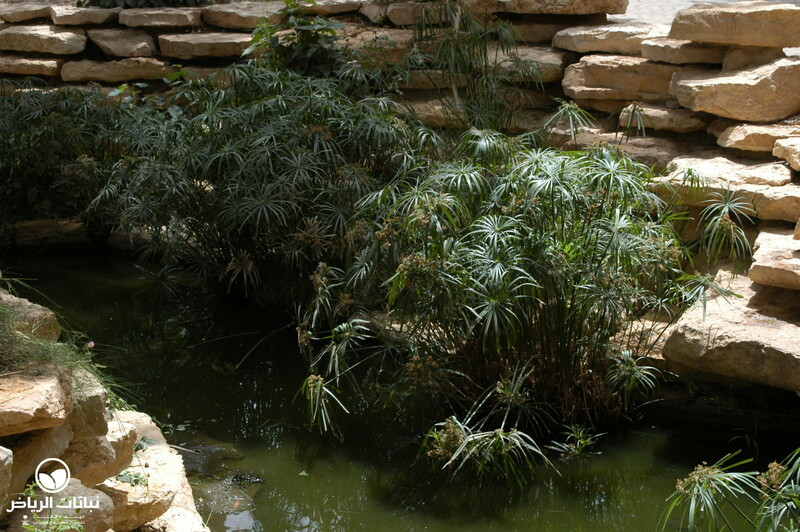 Ideal habitats are moist with a high nutrient content. 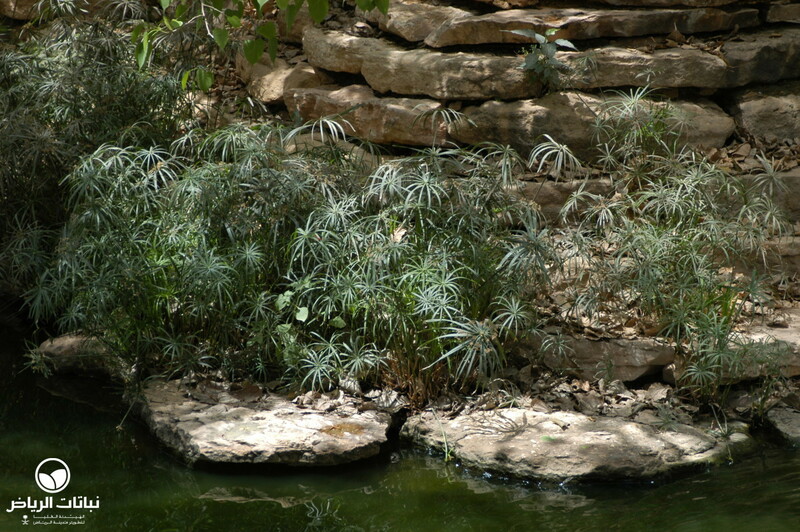 Spreading rhizomes form huge clumps that may capture riverbanks and pond-sides. 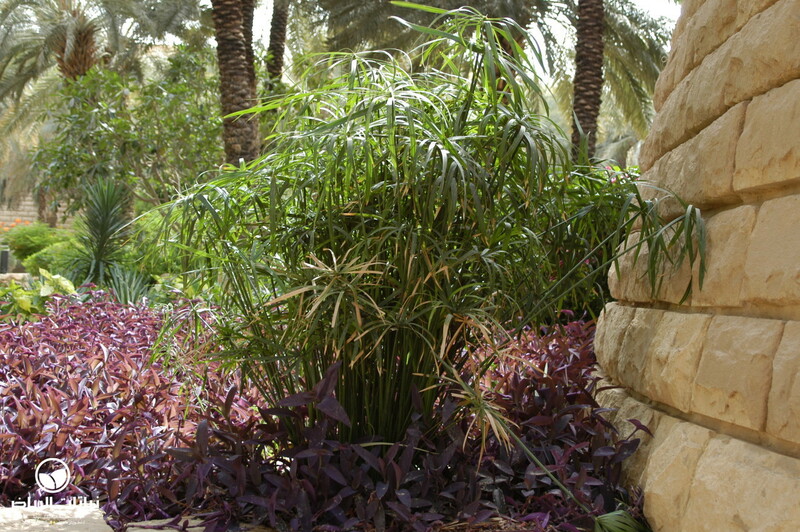 In summer, plain, brown flowers occur on top of the whorls. 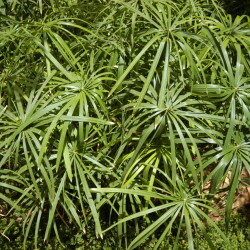 Umbrella Plants are grown for their picturesque appearance. 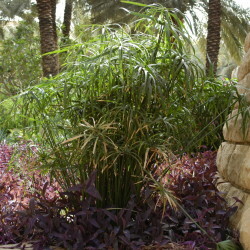 They give a lush, exotic impact next to any kind of water feature. 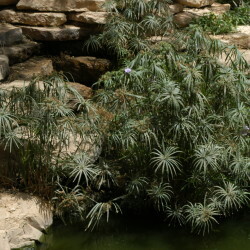 They are one of the few plants adapted to waterlogged sites, but also tolerate locations with average moisture, where they are less invasive. 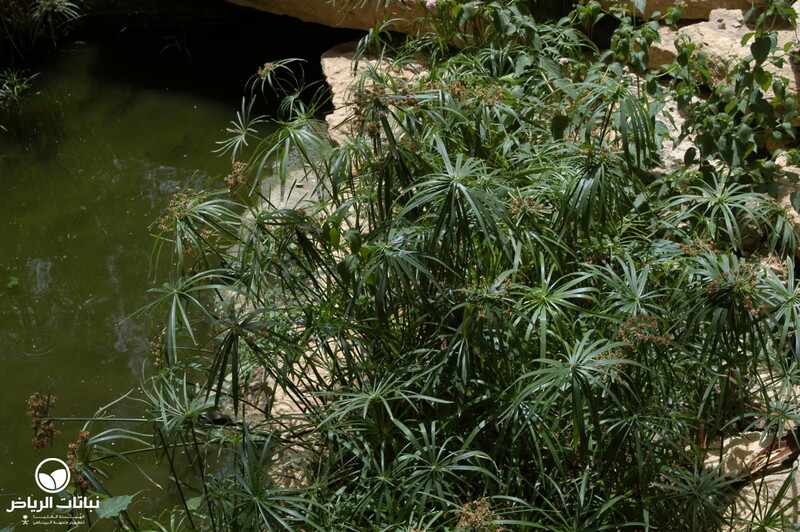 Partial sun suits them best. 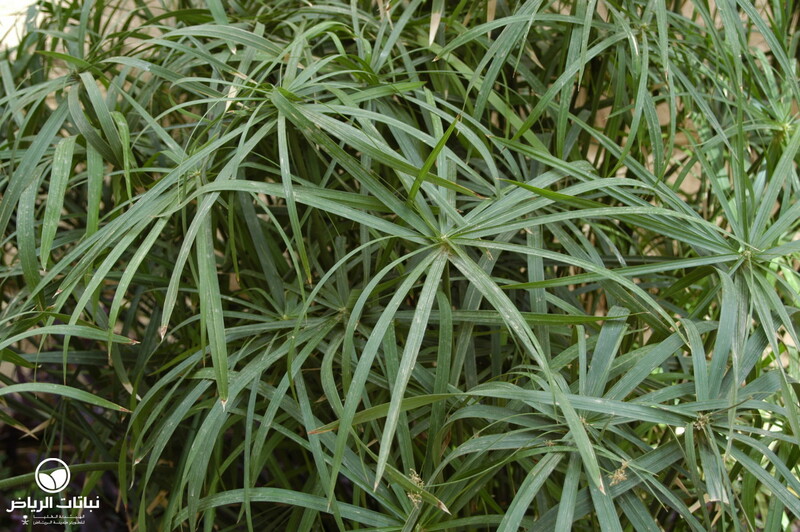 Frost kills the plant’s foliage but it revives as soon as temperatures rise again in spring. 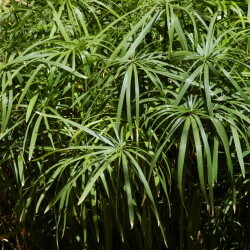 They are readily propagated by seeds or may be divided at any time of the year. 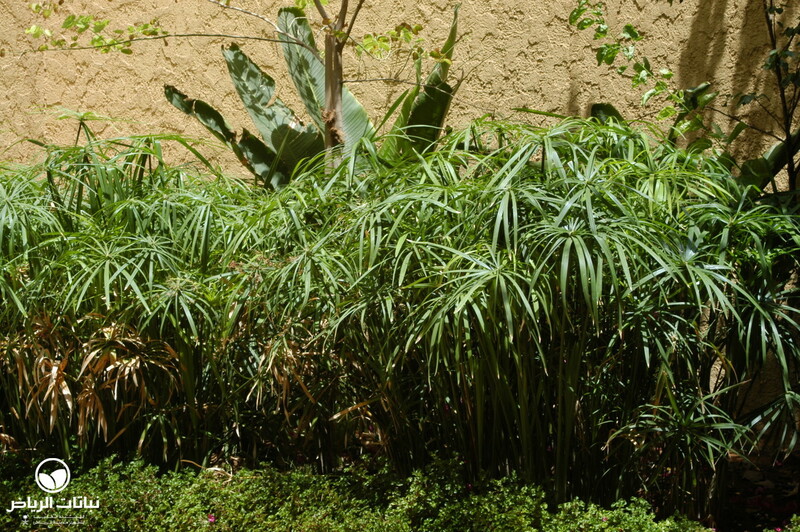 Maintenance is limited to the occasional removal of dead or unsightly leaves. 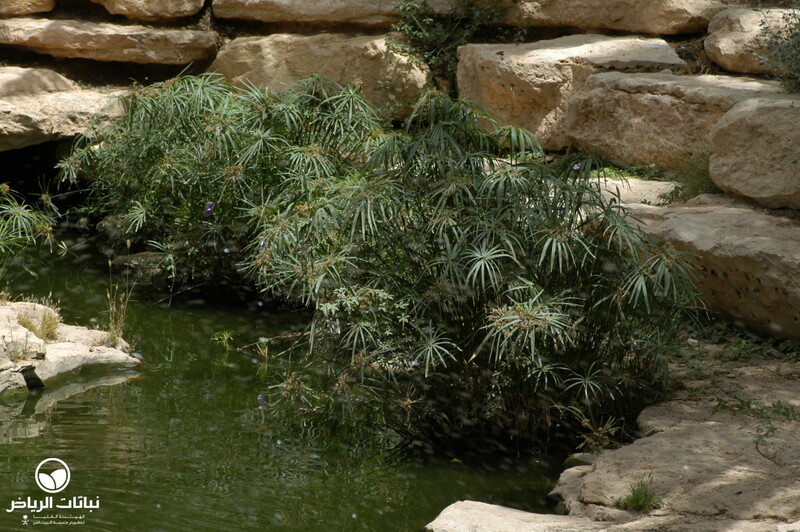 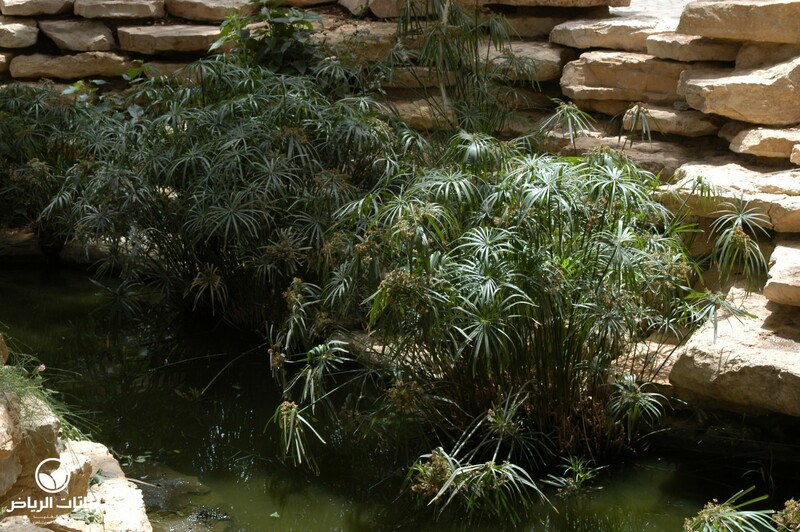 If neglected in suitable environments, small, shallow ponds and swamps may be overgrown. 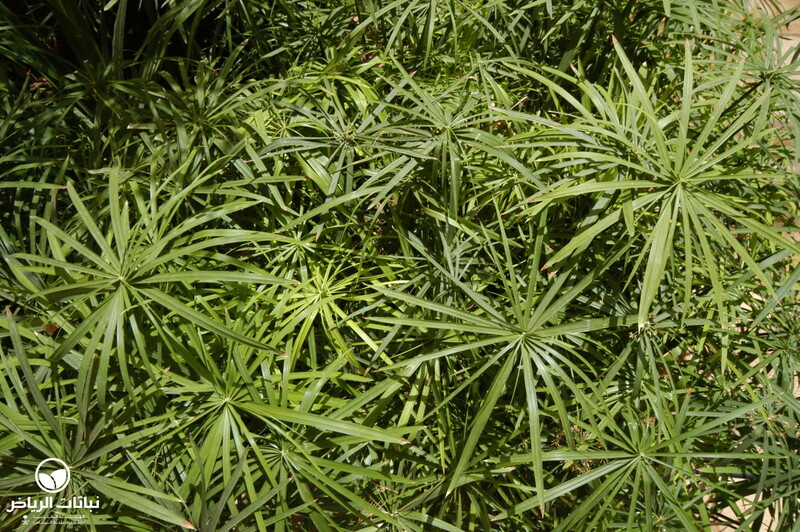 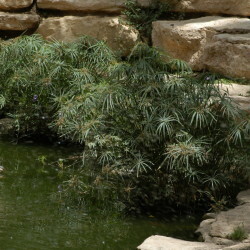 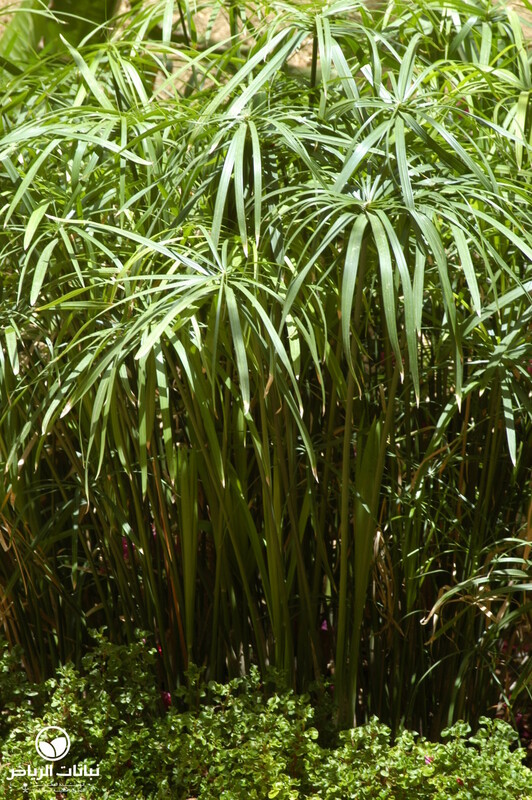 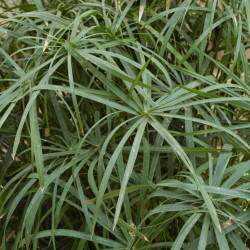 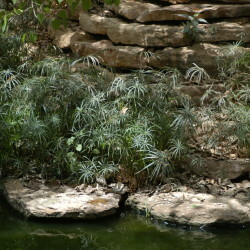 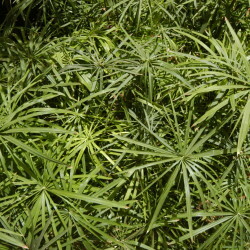 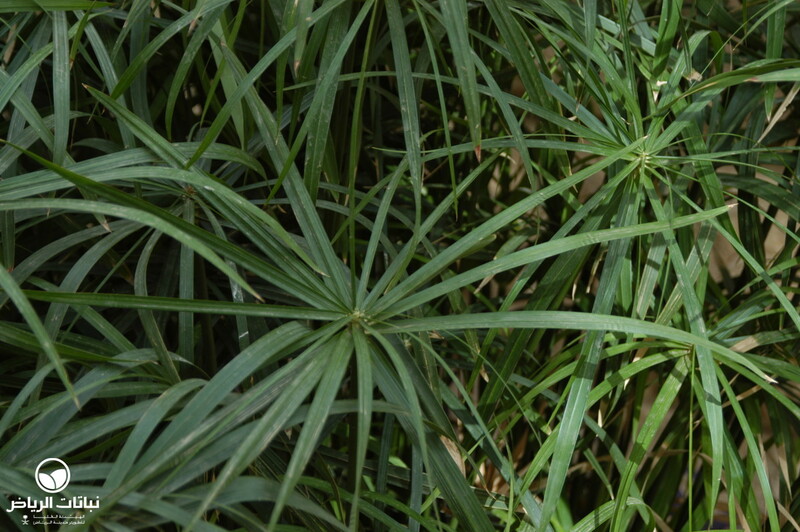 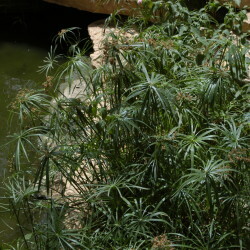 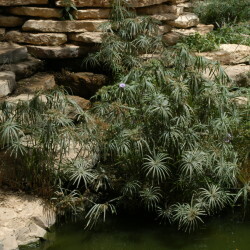 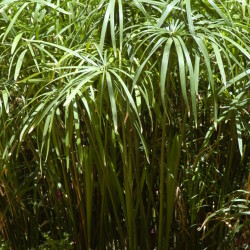 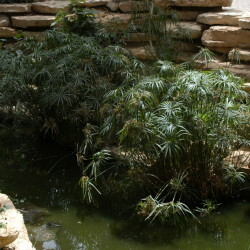 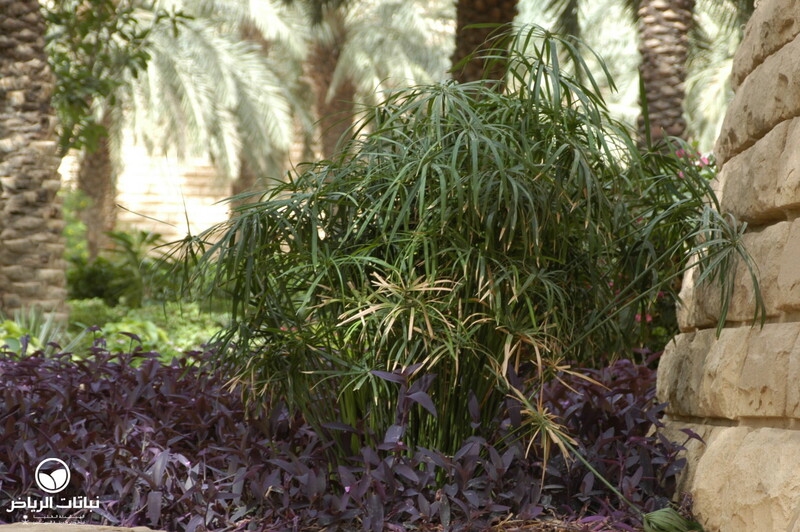 Umbrella Plants are generally traded as Cyperus alternifolius or mistaken for their larger relatives, Papyrus. 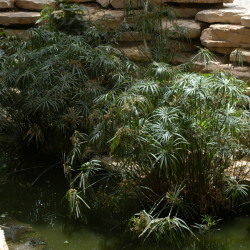 A dwarf type is Cyperus involucratus f. gracilis, with a height of some 30 cm suitable for containers and even pots to grow indoors. 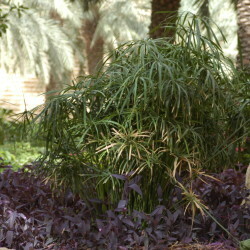 A cultivar called ‘Variegatus’ reaches about 1.2 metres and has white leaf margins.